By the year 2025, India will become the fourth largest Infrastructure project in the world. Recent studies found that affordable housing in India was a problem, due to rapidly increasing levels of urban populations. At present, India is at sixth position with 5.3 per cent share in the global infrastructure market and by 2025 its share will go up to 9.8 per cent and it will be at fourth position, the report added. 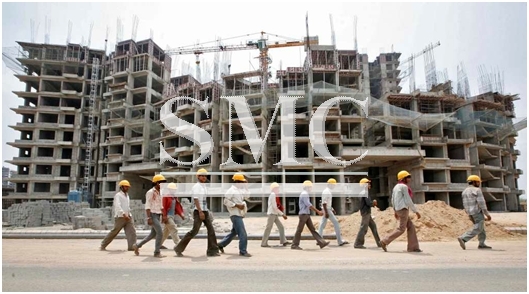 “Real estate and construction sector in India is continuously evolving at a rapid pace. All stakeholders of this profession need to come together to attract high quality talent in this sector,” RICS Global MD – Emerging Business Sachin Sandhir said. By 2025 it’s predicted that India and China alone will contribute to one-third of the total amount of urban growth. Therefore, investors, and the construction and real estate sectors more broadly, need to monitor changing policy landscapes to ensure they are ready to take advantage of new opportunities, the report said. In 2014, it was predicted that up to a staggering two-thirds of buildings that would be standing in 2030, were yet to be built. Highlighting the challenge that the Indian construction sector are taking on and why the need for foreign investments in so important. RICS is a global body for setting standards in property sector.